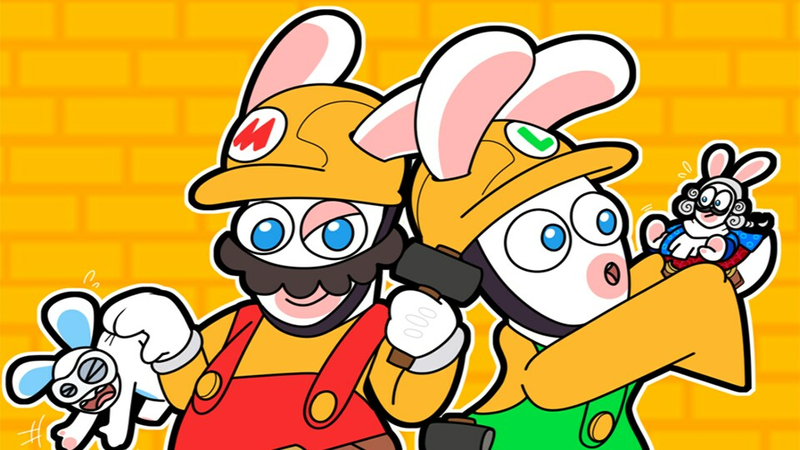 Rabbid Mario's winsome moustache is hardly the only thing he has in common with his famous 'twin'. As the team brawler, he is the first to leap into the fray, using his prowess as a melee fighter to create mayhem amongst his enemies and give his teammates the time they need to get tactical. BOOMSHOT: Rabbid Mario is a fighter who always faces his enemies and attacks them upfront. No item could fit him better than his Boomshot, a short-range weapon that shoots within a huge dispersal cone. This weapon enables him to deal with different enemies at once and make room when an area becomes far too crowded. MELEE HAMMER: Just like his namesake, Mario, Rabbid Mario can use a Melee Hammer as a Secondary Weapon and crush enemies in direct melee range, dealing heavy Area of Effect damage. MAGNET DANCE: Rabbid Mario knows how to play music with his mandolin, but he also knows how to dance. Once he activates Magnet Dance, enemies cannot help moving toward Rabbid Mario, foregoing any cover protection. BODYGUARD: As Rabbid Mario prefers weapons with short range, he will often end his turn in the middle of the battleground, leaving him in the line of sight of enemies that could dash him or deal damage with a Ground Pound. Thanks to Bodyguard, Rabbid Mario is almost immune to physical attacks, as he is able to reduce physical damage up to 80%. BOOM DASH: Area of effect attacks are a specialty-of-sorts for Rabbid Mario. And his dashing abilities are no exception: Rabbid Mario triggers area explosions whenever he dashes an enemy - very effective against groups of enemies. MAGNET DANCE X REACT ABILITIES (HERO SIGHT, ETC. 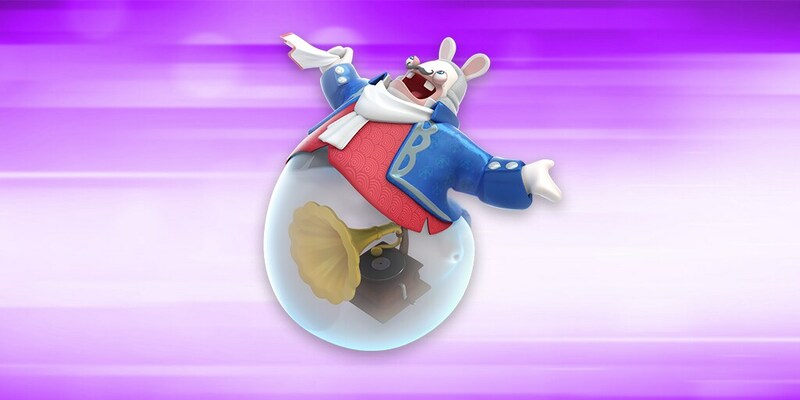 ): Once you have activated all of your heroes’ react abilities, use Rabbid Mario’s Magnet Dance to lure your enemies into the trap, and let the boom festival begin. M-POWER X MAGNET DANCE X BOOM DASH X HAMMER: If you were looking for a massive damage combo, well, you’ve come to the right place. Enhance Rabbid Mario’s attack with Mario’s M-Power. Next, use Magnet Dance to attract multiple enemies to one place. Move towards these enemies and use your Boom Dash to deal some damage to the enemy group, and then finish the whole group with a striking blow from your Melee Hammer. SUPER CHANCE X BOOMSHOT: The Boomshot has a huge dispersal cone, affecting many enemies at the same time. By activating Yoshi’s Super Chance first, and then using the Boomshot, you will enable Rabbid Mario to apply a super effect on all the enemies. 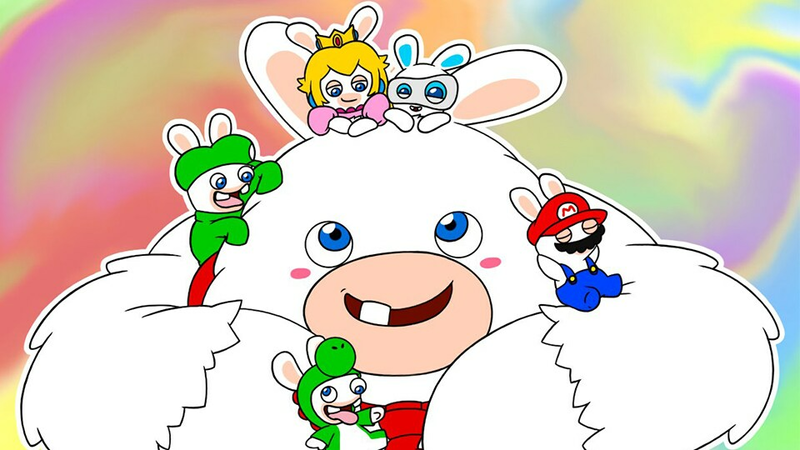 For example, executing this combo with a Vampire effect weapon will enable Rabbid Mario to kill most of his enemies, while recovering a large amount of health at the same time. MAGNET DANCE X SENTRY: Use Rabbid Mario’s Magnet Dance to attract enemies within the reach area of your Sentry, and then active it, ensuring your Sentry affects an enemy group immediately.